NEW YORK — Claude Lanzmann may have died in July of this year but his work lives on. And it still provokes powerful and emotional reactions. 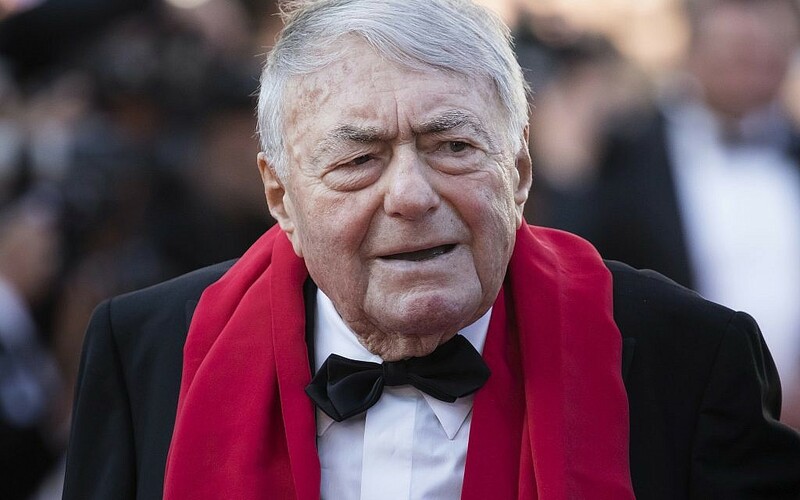 The foremost chronicler of the Holocaust on film, Lanzmann gave 220 hours of additional footage from his 1985 master work “Shoah” to Yad Vashem and the United States Holocaust Memorial Museum in 1996. They are still being indexed. 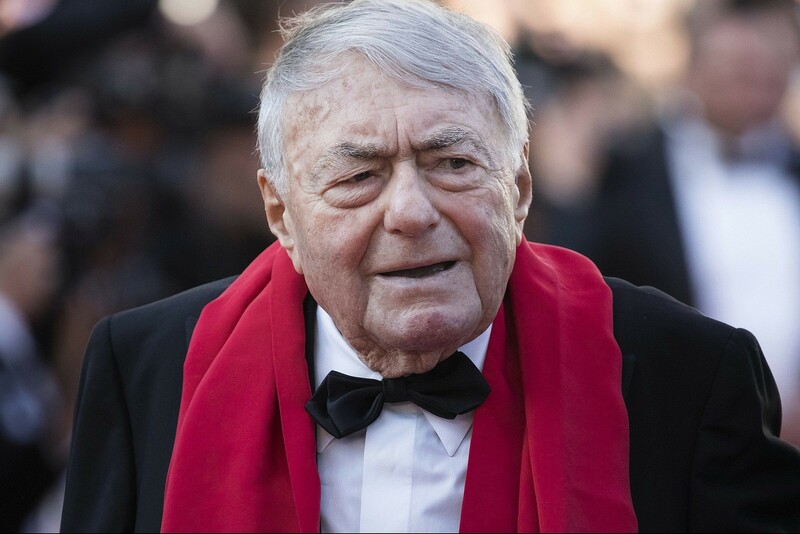 “Shoah” took 11 years to produce and, over the years, Lanzmann has sculpted additional full films from outtakes of his nine-and-a-half hour documentary. Four remarkable interviews Lanzmann conducted for “Shoah” didn’t quite fit thematically. They are survivor’s stories, and “Shoah,” by design, is meant to be a relentless examination of destruction and death with no exit. But the interviews are connected in a way, as they are stories (one-on-one conversations with Lanzmann) about women of tremendous ingenuity, stamina and luck. 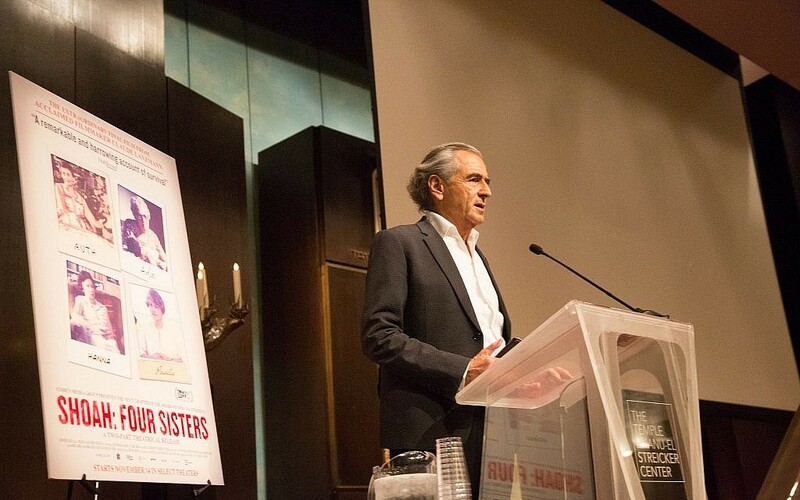 After Araud, French intellectual Bernard-Henri Lévy took the podium and, reading a speech from his iPhone, rattled the walls of the Streicker Center with a booming remembrance of Claude Lanzmann, whom he compared to Orpheus, Dante and Homer. “He was drawn to the abyss, and we may never understand why,” Lévy said, suggesting that his life’s work was a sacrifice for the rest of us. Lévy called Lanzmann a “man of fury,” a “poet” and a “nourished warrior” whose life was full of “bountiful adventures” and who refused to be a “humbled Jew.” He said that Lanzmann was also pro-Israel his entire life, despite supporting anti-Colonialist causes that led some of his colleagues to take anti-Zionist positions. I’ve been to a lot of film screenings in my day, and rarely does an introduction go on for 15 minutes, and rarer still does it lead to thunderous applause. 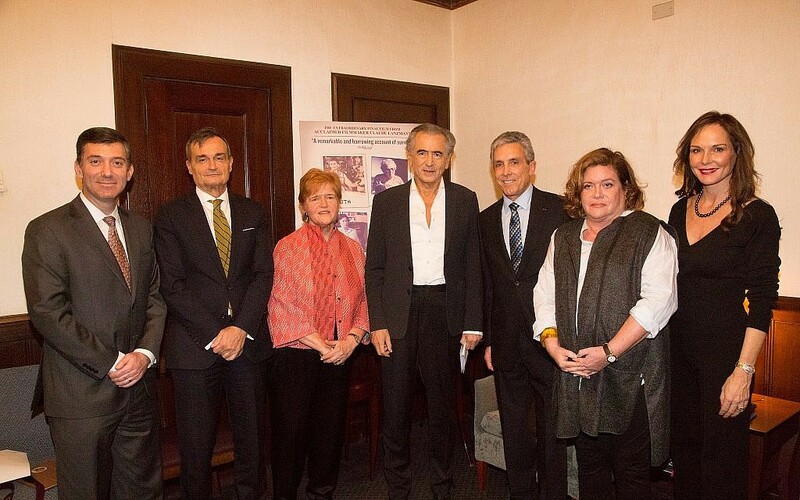 I’ve watched Bernard-Henri Lévy on YouTube before, but to be there in person is to witness something truly extraordinary. The film itself is a masterpiece of storytelling. It seems simple at first; just a camera pointed at a woman as she recalls her youth. Ruth Elias was born in Czechoslovakia and deported to Theresienstadt at the age of 19. She lost her entire family at Auschwitz and suffered some of the most cruel indignities I’ve ever heard. Her story involves numerous near-misses with death, thanks to a mixture of quick thinking and dumb luck. Her tale leads to a showdown of sorts with one of the worst figures of the Holocaust, Dr. Josef Mengele. The film is not exactly upbeat. When the lights came back on I had a pounding headache. This was the fourth arts event I had attended in a Jewish space in the 10 days since the shooting at the Tree of Life synagogue in Pittsburgh and, to be honest, foremost on my mind was that I felt tired. Perhaps there was a little angry energy in the crowd. To the stage came Prof. Deborah Lipstadt, a brilliant author and quick-witted speaker probably best known for taking the Holocaust denier David Irving to court (as dramatized in the film “Denial.”) She spoke eloquently about Lanzmann’s technique (it may seem hands-off, but it isn’t), his insistence on including narrative tangents and shades of gray in what we want out of heroes and villains. Most striking is Ruth Elias describing her tormentor Dr. Mengele as handsome. Alongside was author Daphne Merkin, whose demeanor stood in contrast with Lipstadt’s. With crumpled notes in her hand and a proclivity to drop names (plus breathing into the microphone when others were speaking) Merkin’s points rambled considerably, eventually annoying the audience into hisses as she paid Ruth Elias what could easily be interpreted as backhanded compliments. Like I say, maybe the crowd was just feeling down, but the vibe was undeniably contentious. Questions from the audience were met with combativeness, particularly from Merkin. And since I was sitting close, I could overhear Lipstadt mutter a spare “oy” at one point. This was met with applause, but was not enough for some in the audience, especially one man who started screaming “How dare you?! ?” at the woman who was attempting to ask a question, and then just started shouting in general. When Lipstadt tried to calm him with “Let’s all be grown-ups here,” this clearly lit his fuse, and he accused the speakers of “passing judgement on Holocaust survivors,” which was certainly an inaccurate statement about Lipstadt and, even though Merkin was speaking inelegantly and perhaps too dispassionately, unfair to her, too. Lipstadt quoted Primo Levi’s epigraph to “If This Not A Man” (“You who live safe in your warm houses …”) to suggest that none of us could ever know how we would act if confronted with the horrors of the Holocaust. This, to me, is the very opposite of someone who is passing judgement. If I didn’t have such a headache, I would have shouted back at the guy who was shouting. Like I said, I think everyone was a tad on edge. As the guests left the stage I walked out into the rain. (Classic.) I wasn’t in a good mood. Then I heard a young woman talking to her sister and her dad. “Yeah, she’s just like that in class,” she said. Rachel Kramer, 20, studies at Emory University and is a student of Lipstadt. More importantly, we discussed Ruth Elias and the film. “I went to a Jewish day school and have heard from lot of Holocaust survivors. But I thought this was one of the most powerful stories I’ve ever heard,” she said. When the analysis and the arguments simmer down, a new generation of Jews learning these stories is, I think most would agree, the most important thing.